2cm diameter. 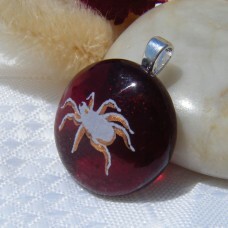 Red base glass topped with spider decal. Then highlighted with hand painted gold acce..